This example shows how to classify an image using the pretrained deep convolutional neural network GoogLeNet. GoogLeNet has been trained on over a million images and can classify images into 1000 object categories (such as keyboard, coffee mug, pencil, and many animals). The network has learned rich feature representations for a wide range of images. The network takes an image as input, and then outputs a label for the object in the image together with the probabilities for each of the object categories. Load the pretrained GoogLeNet network. You can also choose to load a different pretrained network for image classification. This step requires the Deep Learning Toolbox™ Model for GoogLeNet Network support package. If you do not have the required support packages installed, then the software provides a download link. The image that you want to classify must have the same size as the input size of the network. For GoogLeNet, the first element of the Layers property of the network is the image input layer. The network input size is the InputSize property of the image input layer. The final element of the Layers property is the classification output layer. The ClassNames property of this layer contains the names of the classes learned by the network. View 10 random class names out of the total of 1000. Read and show the image that you want to classify. Display the size of the image. The image is 384-by-512 pixels and has three color channels (RGB). Resize the image to the input size of the network by using imresize. This resizing slightly changes the aspect ratio of the image. Depending on your application, you might want to resize the image in a different way. For example, you can crop the top left corner of the image by using I(1:inputSize(1),1:inputSize(2),:). 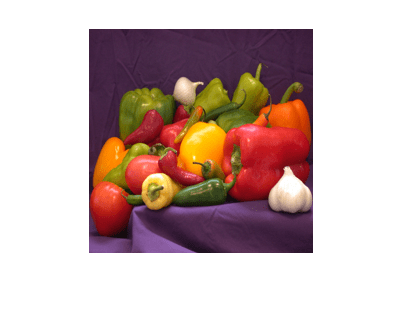 If you have Image Processing Toolbox™, then you can use the imcrop function. Classify the image and calculate the class probabilities using classify. The network correctly classifies the image as a bell pepper. A network for classification is trained to output a single label for each input image, even when the image contains multiple objects. Display the image with the predicted label and the predicted probability of the image having that label. 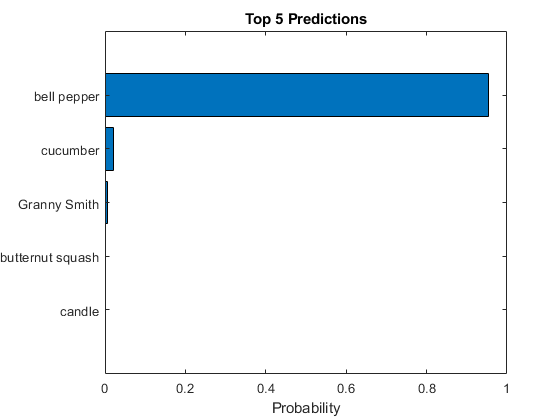 Display the top five predicted labels and their associated probabilities as a histogram. Because the network classifies images into so many object categories, and many categories are similar, it is common to consider the top-five accuracy when evaluating networks. 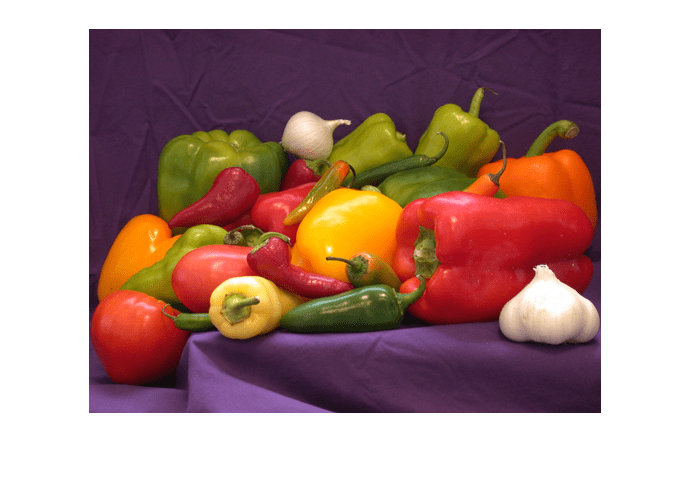 The network classifies the image as a bell pepper with a high probability.